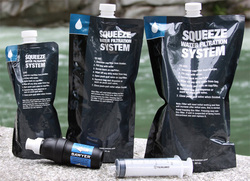 Great Lake Survival is proud to introduce SAWYER water purifiers. 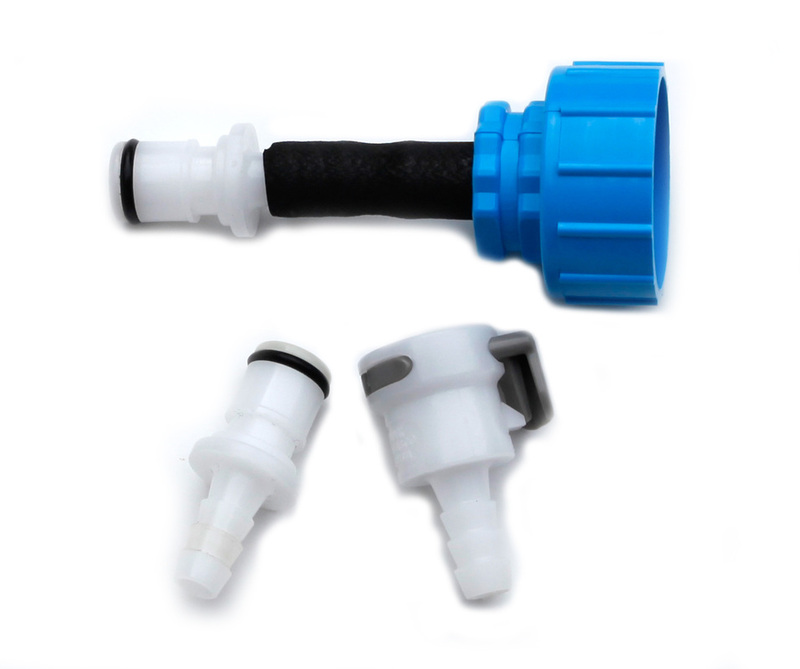 to improve both the filtration rates and longevity of the filter, they needed something even more precise and rugged. 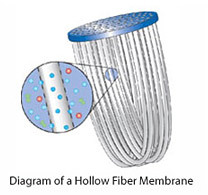 The fiber composition had to deliver exactly 0.1 & 0.02 micron filtration 100% of the time to ensure no bacteria would get through, and the membranes had to be sturdy enough to withstand backwashing which allows the filter to be cleaning and reused. 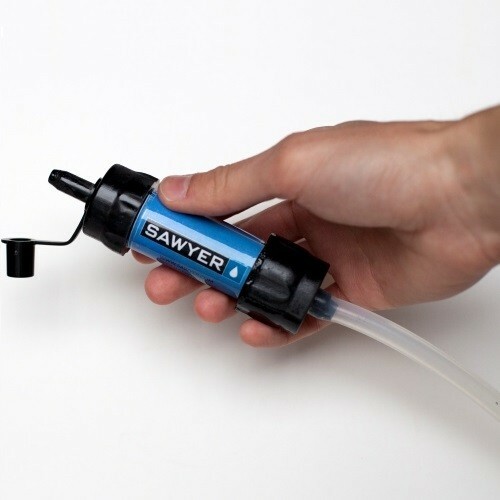 Sawyer's Hollow Fiber Membrane filters are small, portable, easy-to-use, reliable, inexpensive, and can last a lifetime without needing to be replaced. verified by the United Nations, and is currently being used in more than 70 countries around the world. The Sawyer Mini is ideal for outdoor recreation, hiking, camping, scouting, domestic and international travel, and emergency preparedness. 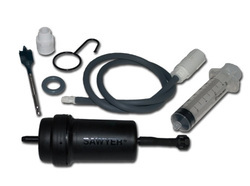 This high performance Mini filter fits in the palm of your hand, weighs 2 ounces, and filters up to 100,000 gallons (30 times more than comparable filters). It attaches to the included drinking pouch, standard disposable water bottles, hydration packs, or use the straw to drink directly from your water source. filter water into your water bottle or container of choice, 2) Drink directly from the filter which has a built in push pull cap for on/off functions, 3) Attach the filter onto most threaded water bottles including 2 liter bottles. Kit includes: Lightweight Durable Collapsible Pouches(reusable), Sawyer 0.10 Absolute Micron Hollow Fiber Membrane Screw On/Off Water Filter, Replaceable Pop Up Drinking Spout, Cleaning Syringe. Life Expectancy: 1 Million Gallons Guaranteed. 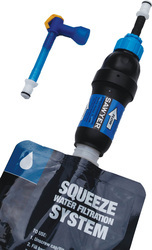 More than just a water filtration bottle, the Sawyer 4 Way Filter can be used as an inline filter on your hydration pack, attached to your home faucet with the included faucet adapter, or as an ultra-lite system. 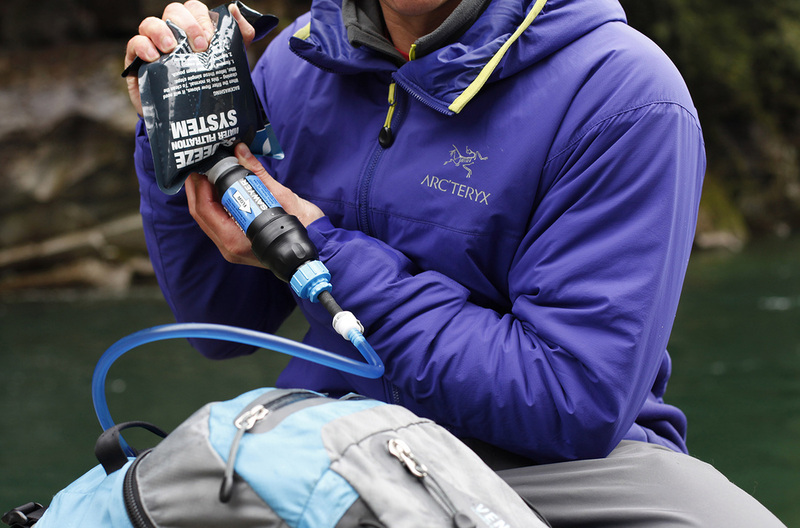 Kit includes: 34 oz BPA FREE Durable Water Bottle with a flip-top cap, Sawyer PointONE™ 0.10 Absolute Micron Water Filter, Faucet Adapter, Replacement Drinking Straws, Hydration Pack Assembly Kit, Cleaning and Maintenance Instructions. Life Expectancy: 1 Million Gallons Guaranteed. This is a Family Preparedness MUST HAVE! This small, lightweight filter kit can provide up to 170 gallons of clean water per day. 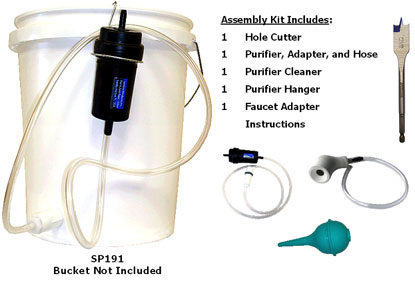 Assembly Kit Includes: Hole Cutter, a Sawyer Point ZeroTWO™ 0.02 Micron Absolute Inline Water Purifier, adapter, hose, Filter Cleaner, Filter Hanger, and detailed instruction book. Bucket not included.